(Newser) – The White House's quiet American Joe Biden stepped up to the Democratic National Convention podium tonight to declare his love for his family and country—and take a solid swing at Mitt Romney. The American financial crisis hit like a "sledgehammer," acknowledged the vice president, who recalled a similar tough time years ago for his own dad, an automobile worker, who had to move to find work before he could send for his family. "The rest of my life, my dad never failed to remind me that a job is about a lot more than a paycheck. It's about dignity. It's about respect. It's about being able to look your children in the eye, and say, 'Honey, it's going to be okay,' and believe it was going to be okay," he said. 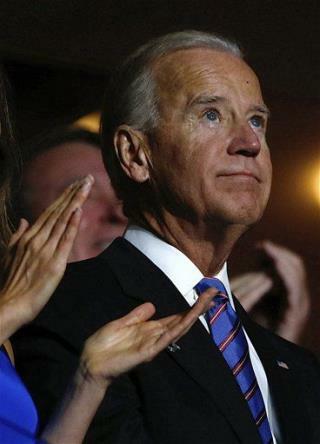 Jobs don't mean the same thing to Romney, Biden added. "I just don't think he understood what saving the automobile industry meant to America. I think he saw it the Bain way: balance sheets, write-offs. The Bain way is not the way to lead your country from its highest office." Let's take a look at the two conventions. The replubicians have no use for facts, spew lies and hate and promte greed. Given one more chance they will finish destroying America. The democrats believe were all in this together. They know that doubling down on trickle down is a bad joke, that 2 plus 2 doesn't add up to 99. They believe that American people have rights, not only the elite. One question, how could Romnmey give his kids 100 million dollars tax free.